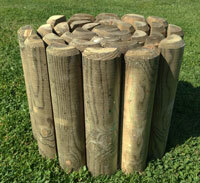 This weedstop cover is suitable for lighter tasks in the garden such as garden borders and beds. This weed stoo sheeting allows water and nutrients to pass through. 12m long x 1m wide. Heavy duty weed ground cover is a 100g per square metre weed fabric. This heavy-duty plants ground cover is ideal for use under gravel, stone, paving, driveways and many more landscaping jobs around your garden. Landscape fabrics are UV stabilised membrane. Weed fabrics allow water trough and suppresses the weeds. Heavy duty ground covering is a 100g per square metre weed fabric. This heavy duty groundcover for plants is ideal for use under gravel, stone, paving, driveways and many more landscaping jobs around your garden. 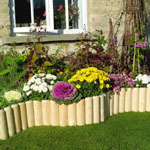 Landscaping fabric are UV stabilised membrane. Weed fabrics allow water trough and suppresses the weeds. Heavy duty landscape fabric is a 100g per square metre weed fabric. This heavy duty weed membrane for plants is ideal for use under gravel, stone, paving, driveways and many more landscaping jobs around your garden. 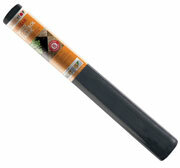 Landscaping fabric are UV stabilised membrane. Weed control fabrics allow water trough and suppresses the weeds.